Electronic surveillance is a main intelligence gathering resource for governments, criminals, terrorists and private investigators. It is easy to get hold of listening devices (bugs), bugging equipment and covert cameras from commercial outlets and many shops specialize in making and supplying this type of equipment. Today, many bugs and covert cameras can be hidden in almost any object like books, computers, mobile phones, rocks and clothing. You should always take precautions against bugs and covert cameras, especially when you are staying in hotels or moving into a new residence. There are thousands of devices on the commercial market that claim to beable to detect bugs. However, bugs work on many different frequencies or on GSM networks and many commercially available bugs and bug detectors work on only a small sector of frequencies available. A professional criminal or terrorist will always try to use bugs that are outside of the usual frequencies or on GSM networks, so they stand less chance of detection. In addition, you must take into consideration remote controlled bugs that can be turned on and off by the listener. With most equipment you would not pick up this type of bug, because it would usually be turned off until needed, such as during a meeting. In this sector, the most expensive equipment is not always the best. If you are considering buying this type of equipment, make sure it does what the maker claims. If your threat is from electric surveillance (ES), you should employ the services of a trusted specialist in the electronic counter-surveillance (ECM) field. Always check the credentials of the person you employ for this task and make sure he is trustworthy, also check out that his ECM kit of a professional standard. An ECM specialist should also have the equipment that is required to find bugs that are not within the usual frequency ranges. If you use the services of a commercial ECM specialist they must never be left unsupervised, there have been many cases where de-buggers have been found to be working for the opposition and planting or ignoring devices. You should also be aware of the threat from “hard wire” devices. These do not transmit information via the airways and cannot be detected by scanners etc. A listen through a wall device is a good example of this type of device. The device could be placed on an outside of a meeting / hotel room and pick up all conversation taking place in the room andhe device could be attached directly to a recorder. There are government agencies claiming to have a micro fiber device that they can stretch for 3 kilometers and receive good quality audio and video footage. It would be unrealistic for you to always carry around with you ECM equipment. The best defense that you have against these devices is to perform a physical search whenever you will be staying for some time in a room or moving in to a new residence. You should always carry with you such equipment as a torch and a Swiss Army type knife or tool. These basic items are all you should be adequate for a basic room search. If you anticipate that you will have to do an in-depth search always take a full search kit. Consider this, a criminal is targeting an executive for kidnapping. He needs to get information on the executive’s moments etc. A simple tactic would be to place a listening device in the reception area of the targets office. The criminal would need to buy a simple small listening device which, could be bought over the internet or from a spy shop. The criminal would then task an associate, preferably female to enter the reception area and ask receptionists for directions etc. While talking to the receptionists the female could blow her nose and ask them to let her put her tissue in their trash can. Wrapped in the tissue would be the bug, who would ask to check a tissue someone has just blown their nose in! All going well the bug would now be in place and would pick all that the receptionists are saying. Think about it, receptionists handle a lot of sensitive information; they make appointments, book taxis and restaurants etc. A small bug could transmit for about 20 to 75 meters depending on its quality and the environment it’s used in. If someone could not covertly get close enough to listen to it, a receiver attached to a digital voice activated recorder could be placed close by in a flower bed or up a drain pipe etc. GSM bugs use sim cards so can be listened in from and location globally with a phone connection. Why might your client be under electronic surveillance? Who is the threat? Criminal, government, commercial, personal? What is the expected level of skill and equipment of the opposition? What knowledge of you does the opposition have? Change meeting rooms and places at short notice- this will cause problems for anyone who was planning to put you under electronic surveillance. Search rooms prior to meetings. Clear everyone from the room/area before the search and then secure the area and allow access to authorized personnel only after the search is finished. Upgrade the security of all areas and employ your own personnel in a counter surveillance role. Physically search the area for suspect vehicles which could be used as a receiving/relay point for transmissions from a bug. Leave enough time to search the area before the meeting starts. Meeting rooms should have minimal furniture as this gives the opposition less places to plant bugs. Search everyone entering meeting rooms for recorders or transmitters and make sure all rubbish is searched and removed. Check any vacant-adjoining buildings and physical search the outside of buildings. Perform counter-surveillance physical and electronic during meetings. Keep a frequency scanner on permanent scan. Be aware of remote controlled bugs. Search pictures, sockets, phones, plugs, any gifts, Place tape over screw heads, check any new furnishings, check ceiling panels, check outside the room. Draw curtains or close blinds before the those attending the meeting enter the room. Cell/mobile phones can also be used as listening devices when set to autoanswer, once they are put in place the threat just calls the phone to hear what is being said in the close vicinity around the phone, what limits using cell phones is their size and battery life. The other issue with cell/mobile is that they can be hacked or have surveillance apps installed. There are many commercially available surveillance apps for cell/mobile phone monitoring. In high-crime areas where the criminals are working with the police and cell phone companies’ they can monitor your calls and emails via the servers. Another cover for planting electronic surveillance devices are burglaries, if you came home and found that your house or car had been broken into would you be more worried about what had been stolen or what had been put in place? If your car, house or hotel room has been broken into they need to be searched for electronic surveillance devices and contraband. I mentioned cars here because they are favored areas to plant listening devices as they are generally easier for the criminal or private investigator to get access to and break into than a residence. Also consider what you discuss in your car; many an extra marital affair has been discover or confirmed by a voice activated Dictaphone placed in a straying spouses car. Dictaphone’s on their own can be used by criminals as listening devices, when combined with a miniature microphone that can bought from most electrical stores they make an excellent hard wire device. Dictaphones these days can record more than seventy-two hours and the data transferred easily to a computer. Consider how easy it would be for a criminal to get access to the outside walls or roof of the location you’re in now, drill a small hole through to the inside and then place the microphone in the hole. Outside the microphone wire could be camouflaged and the Dictaphone waterproofed and concealed, even buried, every few days the criminal could come by and swap the Dictaphone for one with fresh batteries and memory. The only way to find such a device would be a physical search; the $25K bug locator and the $500.00 per, hour specialist would be a waste of time and money. 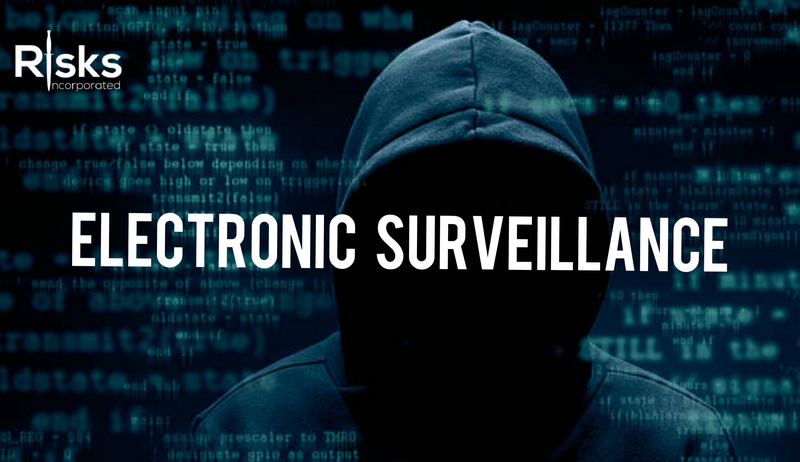 Hopefully after reading this article you are more aware of the threat from electronic surveillance and how easy it is for even low-level criminals to use this means of gathering intelligence on an intended target.